UPS has a 100% money back guarantee refund policy. If your UPS shipment is late by 60 seconds - it’s FREE! SIGN UP NOW - GET THE UPS REFUNDS YOU DESERVE! You have late deliveries now! Similar to FedEx, UPS offers a money-back guarantee on packages delivered late. Businesses use premium carriers to get shipments delivered on or before a certain date or time. If a package is delivered more than a minute after the guaranteed delivery, your company deserves a refund for the shipping charges. We complete the dispute process for you. The catch is that the business owner, must track, identify and process UPS refund claims. Refund Retriever helps businesses by finding late deliveries and processing UPS refunds. No risk - our fee is a percentage of savings. UPS money-back refunds are only processed on your request. 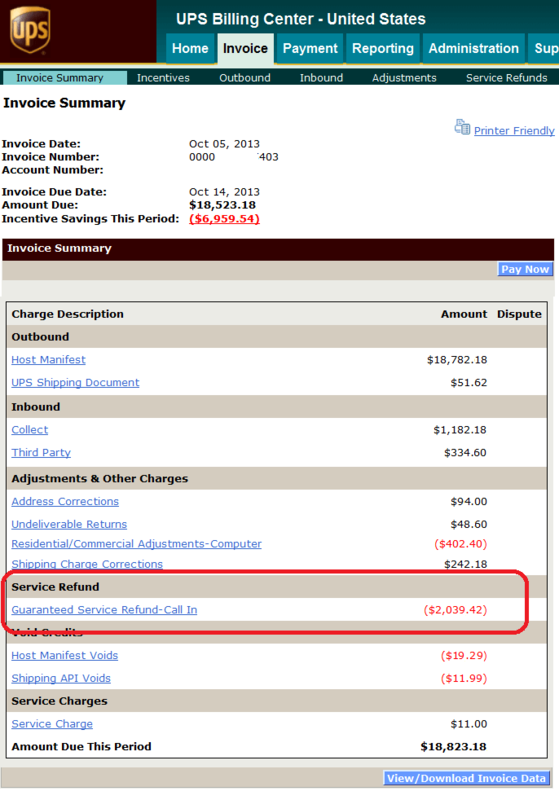 UPS does not automatically detect and refund shipping costs. Refund Retriever can instantly find and process unclaimed UPS late deliveries. We only charge a percentage of the dollar amount that UPS credits back to your company. UPS Next Day Air Early A.M.
GET THE UPS REFUNDS YOU DESERVE, GET WARNINGS OF POTENTIAL ISSUES, AND GET ACTIONABLE ANALYTICS TO HELP YOU MAKE BETTER DECISIONS.